I'm back! I enjoyed a brief vacation away from the winter cold of Colorado, and traveled to sunny Southern California to visit my family as well as Andy's family. I'm now about 20 pounds heavier after indulging in the luxuries of real Mexican food, and I'm eager to get back to blogging! I'll start things off slow, with a sneak peek of a guest post I did for Leslie at Work Play Polish! She asked some of her (and my) favorite bloggers to participate in a series of guest posts geared around the holidays. Additionally, and more importantly, she had us do these for a good cause, Polished Girlz. This organization travels to hospitals around the country, where girls of all ages and various levels of health are treated to a manicure in their hospital rooms. The importance of hygienic manicures is taught to these girls, by other girls, and I'm thrilled to have been a small part of it! 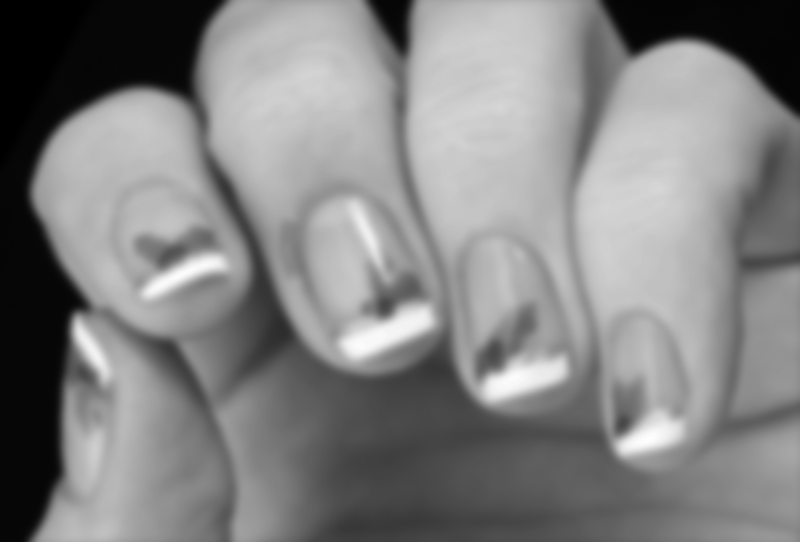 Visit Work Play Polish for the full guest post and mani, but here's a blurry sneak peek to tantalize you. Thank you sooooo much, Katy!!! I was honored to have you!